The central characters of the crater stories include the Star (or black rock), the Rainbow Serpent, the Dingo, and the Old Man. The Star and the Rainbow Serpent are part of the cosmology of the Crater Dreamtime. The Dingo and the Old Man are part of the Ancestral Dreamtime. According to most versions of the story, the Star fell down from the sky. 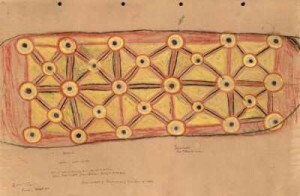 The Rainbow Serpent created the features of the land surrounding the crater, including the underground tunnel linking the crater to the ancestral homeland on Sturt Creek, an hour’s drive away. The track of the Rainbow Serpent opened the way for the First Ancestors – the Dingo and the Old Man. 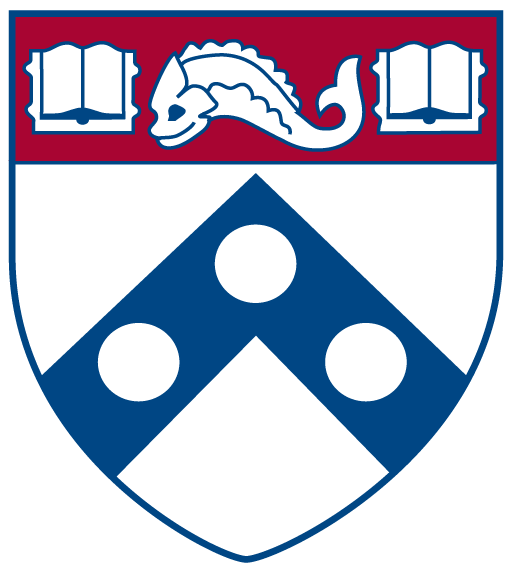 The serpent’s track refers to the features of the land as well as to the meandering path of the snake in the desert sand as it slithers in its contemporary earthly form through and under the land. The track from the crater’s center depicted in most of the paintings is the path along which the First Ancestors made their way from water hole to water hole. 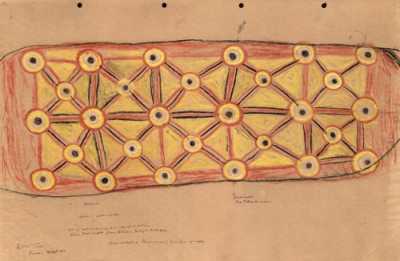 The oldest known Aboriginal representation of the Wolfe Creek Crater and connecting water holes is the drawing (shown here) by Palmer Boomer, a Djaru elder, produced for anthropologist Norman Tindale in 1953 . Palmer’s son, Harold Boomer, told me in 2003 that this drawing represents his father’s ‘Dreamtime.’ The images of the drawing are in the iconographic style carved on ancient stone objects and painted on cave walls.